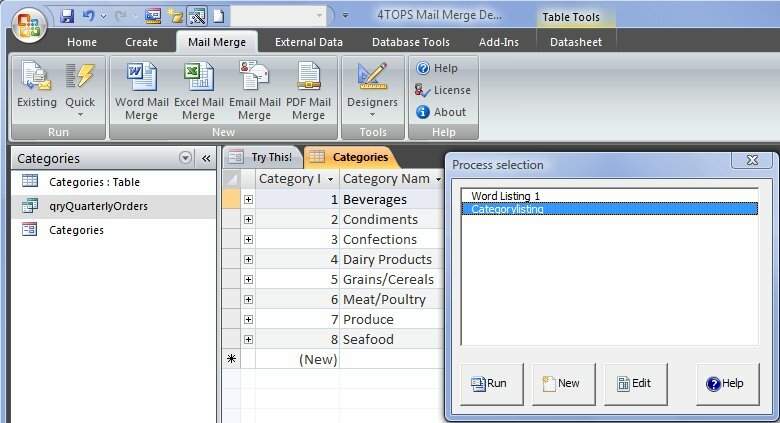 This example shows step by step how to create a mail merge listing template and process using the 4TOPS Mail Merge for Microsoft Access tools. 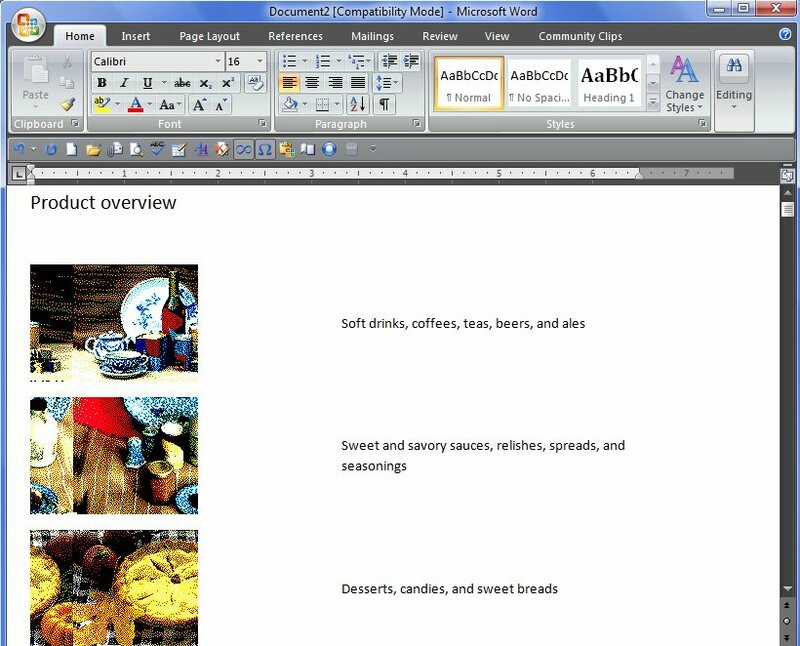 In this example we create a listing with pictures and their description The pictures are stored in the database. 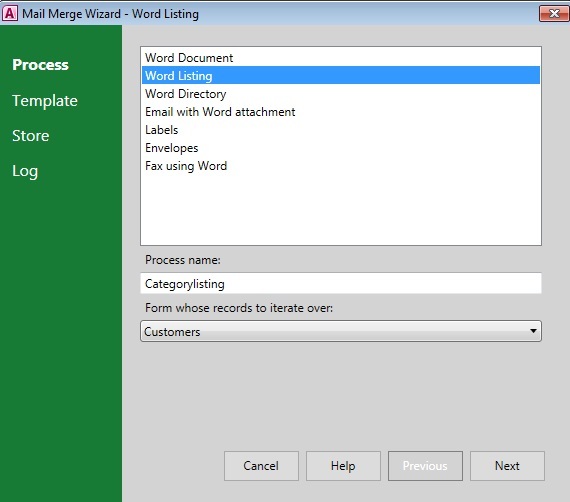 This opens the mail merge wizard. 1.4.2 (optional specify a listing or template you want to base the template on). 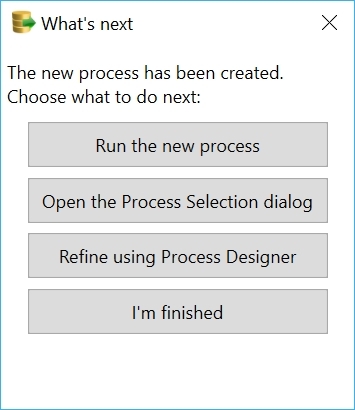 We now let it blank and just press 'create'. 1.5 Select the fields you want to have in the listing. It is possible to change the order in which they will appear and press 'OK'. 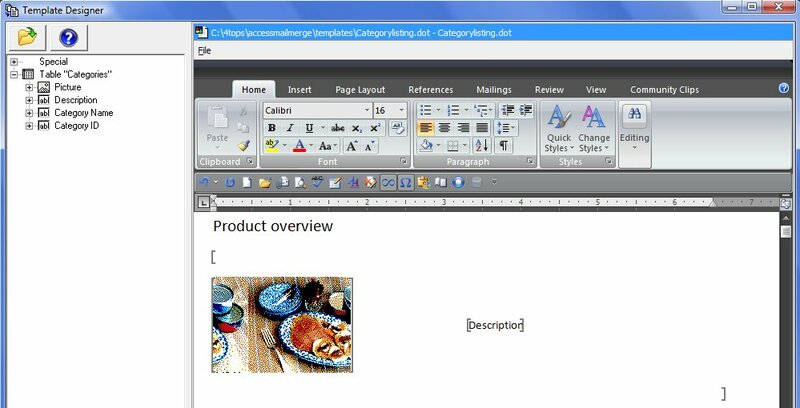 The template designer opens with the selected fields on the template. It is possible to drag and drop more mail merge fields from the left side. You can add more text, etcetera. We now only place the title 'Product overview' above the fields. 2.2 On the wizard, skip the following screens, don't check automatic file naming or logging. 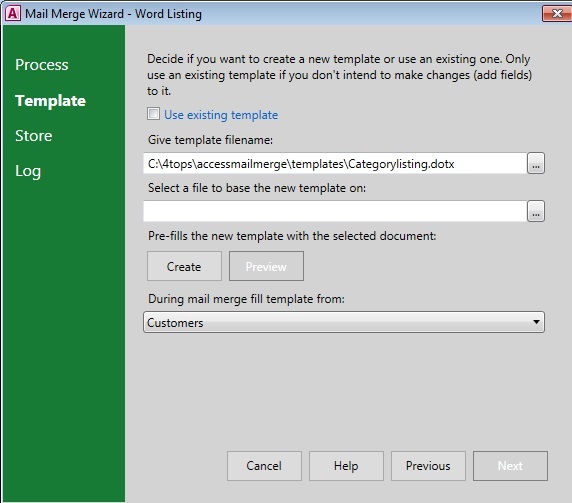 3.1 Press 'Open the Mail Merge Selection dialog' on the What's next dialog. 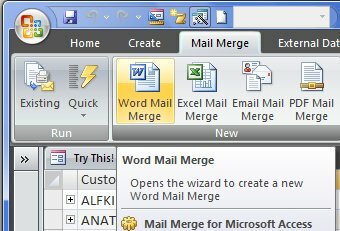 The next time you will be using the 'Existing' button on the Mail Merge ribbon (Access 2003: menu Mail Merge > Open...). 3.2. 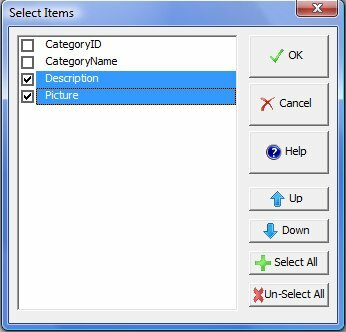 Press 'Run' to create the document with all records.